The international network female:pressure does a lot of work to raise awareness about the statistical realities of female visibility and under-representation within the electronic music industry. It provides a platform that centralizes dialogues revolving around many of the ever persistent inequalities. It is an initiative that has united over one thousand creatives working in the field of contemporary electronic music, a platform that provides access to countless examples of inspiring careers by diverse female artists. 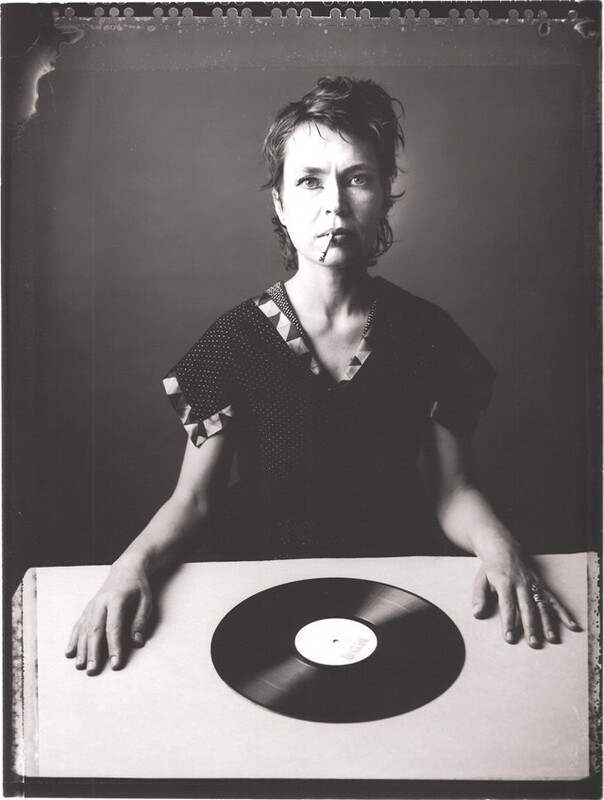 female:pressure was founded in 1998 by Electric Indigo, a Berlin based DJ and musician. It is not surprising that the woman behind this project is also an active creative in the field she is challenging. Self organization appears at the roots of many such projects seeking to establish alternative avenues of visibility within the music industry. Just a few months ago for International Women’s Day, female:pressure made a call for a change, expressing how unacceptable it is to work within a continued environment of biases. Despite the technological innovations that have led to a greater facility in digital communication and accessibility over the last decade, the reality remains that women continue to struggle with equal pay and equal opportunity. In what ways has the network most significantly evolved over the last fifteen years? I would hope that the platform centralizes dialogues revolving around the work, and the existence, of the artists and then, more peripherally, deals with structural inequalities. As the project started off from experiences in the club scene and has been coined by DJ-culture, one of the most evident evolvements of female:pressure lies in the growing portion of composers, the expansion into the fields of electroacoustic, avant-garde music, the increase in women making and producing electronic music. The proliferation of internet use during the past fifteen years helped a lot in many ways. Tackling the fight for greater equality via collective action automatically demands a deep consideration of the systems of distribution and market realities. What role does female:pressure play in the struggle to navigate such hindrances? female:pressure provides certain means for exchange, collaboration, and collective action. It can serve as a kind of culture medium that helps to bring forward changes. You also have a production platform called open:sounds that operates with the model of Creative Commons Licences. How is this alternative structure important for battling the legal/capitalistic restrictions of mainstream industry practices? I think it is very important to look for alternative models in music business and I am a great fan of Creative Commons and open source in general. Truthfully speaking, the open:sounds project went well as long as it offered some sort of reward for contributions. It was active when we had a funded CD and DVD release but never got the dynamics that we originally hoped for. We thought that mutual remixing and playing with each others sounds could appeal to our producers but it only did when we announced the release of a compilation. It is questionable whether feminist artists continue to evaluate each other on the very same criteria formulated by the systems that simultaneously oppress us. A network offers visibility among a specific community and provides valuable resources, but how do you advocate for a re-evaluation of oppressive stereotypes? What relationship do you see between your endeavors and those of feminist activists before you who have been fighting for more equality in music since the late 20th century? We work in a quite specific field of music – strongly related to club culture – and we cultivate a rather neutral style when it comes to political activism. I guess, in the female:pressure data base there are many artists listed who would not want to be called a feminist. My personal approach is different: my inspiration came more from Simone de Beauvoir, Judith Butler, Sadie Plant et al. I was not in touch with other feminist endeavors in music business before 1993. What role would you like to see/hear female:pressure play in the future of women's visibility in the electronic music industry? female:pressure should be a widely known resource for information, a motivating and empowering environment for women in the scene and a strong and influential backing for diverse actions. All this until it will hopefully become completely dispensable.